Newport Shipyard is a local institution in Newport, year after year we continue to receive high accolades for the services and facility found at NSY. Known as New England's 'yachting hub', Newport Shipyard is located in the heart of the action, and is within walking distance to great restaurants, shopping and nightlife. 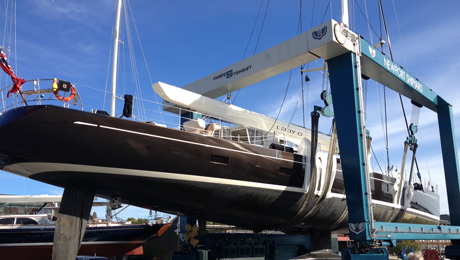 Known to many as ‘The Shipyard’, it is a first-class boatyard and haul-out facility with the ability to accommodate monohulls & multihulls with its 500 MT and 100 MT lifts. In 2018, Newport Shipyard will be the host and organizer for the Newport Charter Yacht Show, which will be held in June 18-21. Newport Shipyard, in partnership with David Ray and his team at Bannister’s Wharf, will organize and host the 3rd Annual Candy Store Cup (carrying forward the Newport Bucket tradition) to be held July 26-28. 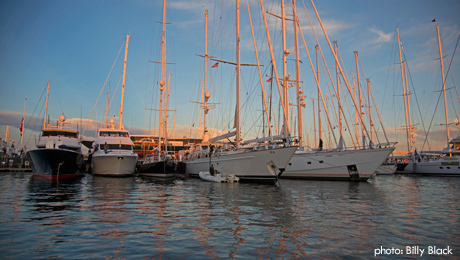 Newport Shipyard is trusted within the marine industry to provide premier services with personal attention and responsiveness to visiting yachts and their crew. They have a team of qualified technicians, carpenters and dock staff on hand to offer you one of the very best and most dedicated services available in the industry. 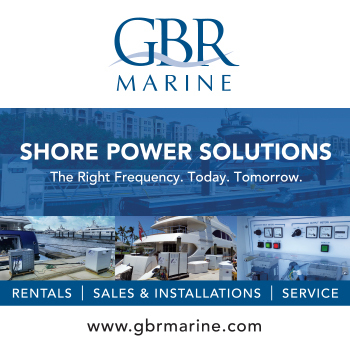 The marina can accommodate yachts up to 350’, with a maximum draft 22ft, equipped with 3-phase power up to 400 amps and 480v. 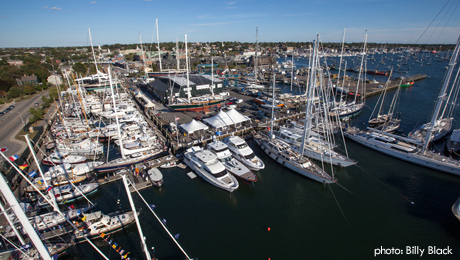 In 2017 Newport Shipyard added an additional 560 ft of dock to accommodate more large yachts simultaneously, which will add on to its current 2,833 ft of dock space. Numerous Captains we spoke with, rated Newport Shipyard as a “Five Star World-Class” facility with a great reputation. The Shipyard sits on 14 acres and features a paint shed and workshops fitted out with the latest technology and machinery. Local onsite craftsmen offer talent and experience in carpentry, paint refinishing, welding / fabrication, mechanical and electrical works. Onsite amenities include: fitness center, Belle’s Café, ship’s store, courtesy golf carts, crew housing, ample parking for marina guests, and free Shipyard-wide Wi-Fi. The ship’s store carries everything from Sea Hawk paints, cleaning products, filters, sailing gear, sunglasses and sundries. It also provides access to an extensive list of chandlery items through a large directory of marine vendors. Adjacent to the ship’s store, is the ever popular Belle’s Café, featuring an open air grill serving breakfast & lunch daily. Crew favorites include the ‘Slammin’ Shipyard Sandwich’ and the ‘Twin Lobster Rolls’… which are always popular in the summer months with outdoor seating overlooking the waterfront. Since coming into his ownership, Charlie Dana – a charismatic and passionate sailor himself - has been a major influence behind the amazing transformation of an old shipyard into the world renowned Superyacht facility that it is today… enjoyed by the growing list of visiting yachts and year-round residents. Charlie and his son – General Manager Eli - oversee the yard with the assistance of their friendly and helpful dock staff, providing efficient services to all their customers, no matter the type or size of the vessel. 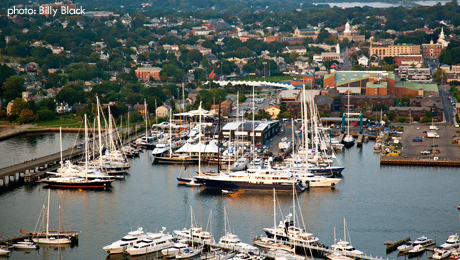 Newport Shipyard is world renowned and one of the most popular marinas in Newport. Newport Shipyard is capable of handling yachts up to 350ft with 22ft draft, equipped with single and 3 phase power up to 400 amps / 480v, with water and Wi-Fi available at the berth. Newport Shipyard features a complete list of amenities that include Belle's Cafe, complimentary WiFi throughout the Shipyard, a fitness center, crew housing, showers, laundry facilities, courtesy vehicles, and courtesy golf carts. Onsite Belle’s Café offers delicious breakfast and lunch daily or quick coffee / tea / bread. They also work in conjunction with Casey’s for fuel deliveries via truck (100+ gallons) or barge (500+ gallons). Owner Charlie Dana and his son, General Manager Eli, have gone to great lengths to make Newport Shipyard an active yard / marina that is as enjoyable for crew as it is for guests. 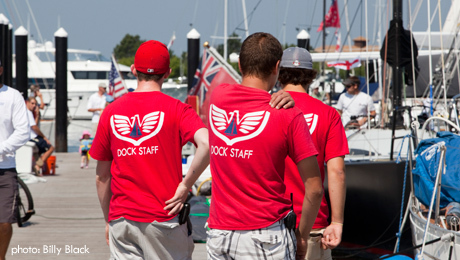 Newport Shipyard has full-time employees to maintain the facilities, handle dock lines and clean up the docks - “While we are the oldest yard on the Newport waterfront, you won’t find a cleaner, more modern or more secure shipyard and marina in New England, “ aid Eli Dana. "The marina is fenced and there is a security guard that patrols the yard 24/7." The Shipyard handles all aspects of refit & repair works on-site, including engineering, fabrication, joinery and electrical works; further to which, they also have a list of high end companies supporting the infrastructure and services offered. These companies include: ABBRA, Albury Brothers Boatbuilding, Al Fresco Composites, Aquidneck Custom, Aquidneck Marine, Berthon USA, Bluewater Technologies, Brewer Street Boatworks, Boat Nanny, BWA Yachting New England, Camper & Nicholson’s, Captains Concierge, Chris' Electronics, Classic Yacht Owners Association, Custom Marine Canvas, DePaul Diesel, Downwind Dockside Services, Headsync, Helly Hansen Newport, Itchiban Yacht Painters Inc., J.Thompson Marine Carpentry, Lewmar, Lyman-Morse Shipbuilding, J Sea Divers, Marine Electronic Solutions, Marinevest, Merle Wood & Associates, Morgan Marine, Noreast Marine Systems, Oyster Marine, Pantaenius Yacht Insurance, RI Marine Survey, RIG-PRO/Southern Spars, Rodger Martin Design, Seaton Yachts, SevenStar Yacht Transport, Seven Star Marine Engineering, Steel Giraffe, Vanquish Marine, W-Class Racing, The Metal Guy, Triton Insurance, Willis Towers Watson Insurance, and Ultimate Finish Yacht Maintenance. The marina is within walking distance from downtown Newport and Broadway, where both boast a wide variety of restaurants, pubs, galleries, and shopping. 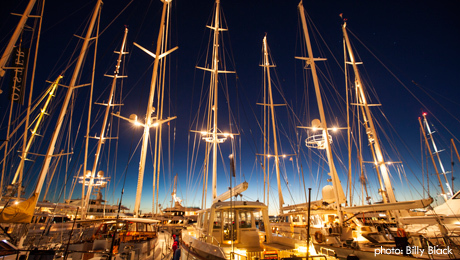 Every summer, Newport Shipyard runs several major yachting events including the Newport Bermuda Race Crew Party, Newport Charter Yacht Show, Candy Store Cup superyacht regatta,, Newport Brokerage Boat Show, races, social gatherings, crew parties, and other special events, under big tents set up for each occasion.